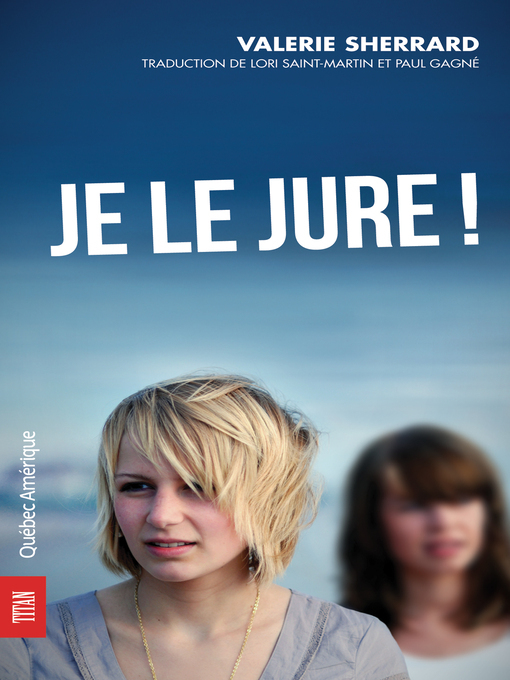 Halton District School Board - Je le jure! Visit this title in Sora! Due to publisher restrictions, your digital library cannot purchase additional copies of this title. We apologize if there is a long holds list. You may want to see if other editions of this title are available from your digital library instead. Shana est prête à tout par amitié... même mentir devant la cour. Copyright Protection (DRM) required by the Publisher may be applied to this title to limit or prohibit printing or copying. File sharing or redistribution is prohibited. Your rights to access this material expire at the end of the lending period. Please see Important Notice about Copyrighted Materials for terms applicable to this content. You have reached the maximum number of titles you are allowed to recommend at this time. You can recommend up to 3 titles every 30 days. Before you can recommend a title, you must enter your date of birth. This information is used to comply with COPPA laws regarding child privacy. Notify me by email if my digital library buys this title. Enter your email address to receive an email about this title. Please close the window and try again. and support our digital library! A portion of your purchase goes to support your digital library. Sorry, no retailers are currently available for this title. Please check back later. Brought to you by Halton District School Board, and built with 💕 by OverDrive.